Today is finally, finally the day. Or as my son used to say when he was too young to really understand the concept “Today is today!” What day would make me so excited? The day when I get to unveil the topic I will square up to for the 26 post A to Z Challenge that begins April 1st. Why is it bigger? Because in the past years as many as 2,000 bloggers from various platforms have taken their swipes at the list I gave above. Can you imagine all the potential new friends you can make in the month of April? If you want more of an official explanation or want to join, there is still time you know, you can click here: A to Z Challenge. Okay, so enough background about the A to Z. Let’s unveil the theme, huh? 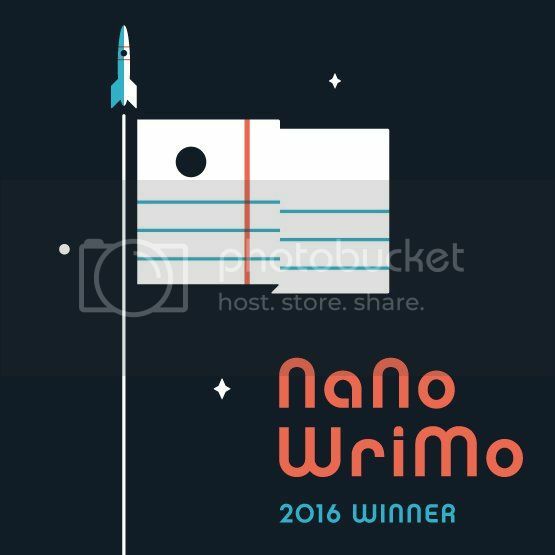 In November of 2016 I entered and completed my second National Novel Writing Month. NaNoWriMo is a challenge to write at least 50,000 words of a novel in 30 days. I was able to write 71,000+. How did I do that? I had a clear idea of what I wanted my novel to say. That is right, I am a plotter. I like to outline my novel before I write it. Continuing that idea I decided to approach the 2017 A to Z with a plan to map out another new novel idea. As I began to put together my novel premise it really filled in quickly as I used the A to Z letters. I may just do all my novel planning this way. Yes, I know I am delaying, but part of promotion is getting you interested. Since you are likely very interested if you are still reading I will give you what you came for. In the 2017 A to Z challenge I will be giving you the inside scoop of my new novel I will write called the Steel Horse Saviors. I will do this on my fiction blog, the Fiction Playground. Steel Horse Saviors is about three Civil War veterans, two Yankees and one Rebel, who take their steam locomotive west to seek their post-war fortune. In the process they encounter Clementine O’Grady an auburn-haired beauty fighting to save the family business. There is a villain just as in any story, a rival lumber baron who is just days away from ripping control of O’Grady Timber & Lumber Company from Clementine O’Grady’s grasp. The locomotive team must decide if they have traveled far enough away from their own demons that they can stay around long enough to battle Clementine’s. The 29 year old beauty will find herself drawn to each of these strangers for different reasons. As part of my promotion ahead of the A to Z Challenge I have been using Hootsuite and Twitter to toss teasers using the #atozchallenge hashtag. One of the exciting extensions of this is that one of the A to Z co-hosts, J Lenni Dorner has already endeared themselves to me by re-tweeting every single tweet I have generated over the last week. Not only that but others have joined in re-tweeting and have begun to generate some buzz. I guess that means my posts better be worth the time of my visitors, huh? This is my third time with A to Z. I completed it once and failed miserably two years ago because of a death in my family and of our family pet. But this year I have decided to double down and make this a significant event in my writing life. I invite you to come back beginning April 1st to see what all this buzz is about. Just know I intend to pop about reading theme reveals myself starting today so I can build a list of blogs I intend to visit and make my new haunts. If you want o read about other A to Z Themes click here: A to Z Theme Reveal. This entry was posted in 2017 A to Z Blogging Challenge, A to Z blogging challenge, Writing and tagged 2017 A to Z Blogging Challenge, A to Z blogging challenge, A to Z challenge, blogging challenge. Bookmark the permalink. Welcome back for another try at the April Challenge. Sounds like you’ll have a good way to develop your upcoming novel. I wish you well! Thanks Arlee! I love the concept of A to Z and have seen just how personal interaction since the first of the year has resulted in more interest in what I post and more interest from me. I really want to find new bloggers through the challenge to follow so my WordPress reader is overflowing with great content. I love to read too, although a little bit less than to write because the creative beast inside screams FEED ME!!!! FEED MEEE!!!! Hi Arlee. I have tried a few times to ask this on your If the List Doesn’t Exist post, but cannot make it happen, so wanted to give it a shot in the comments. When will the A to Z letter of the day post be published? In WordPress the start of the new day say March 29th for example is at 7 PM EDT. I want to add short links to my Twitter posts through Hootsuite, so want to get a feel for the time frame. Thanks for all the hard work and I cannot wait for the start! Looking at our schedule the daily posts are going up the day prior to my time (Pacific Time) at 8 PM British Summer Time which I think is the same as Greenwich Mean Time. We are trying to accommodate the start of each day as it begins in the earliest time zone especially considering that so many of the participating bloggers are in India. So in other words, the first A post at the A to Z Blog will go live on March 31st at 8 PM Brit time. Hope that makes sense to you. I’ve been scheduling the posts on my own blog at 12 Am PDT on the properly scheduled day for me so I don’t have to mess with my Blogger scheduling clock. As long as you are posting notice after your post has gone live it shouldn’t matter too much about the time. I think once April starts going, our posts should be getting visits as long as we are visiting other blogs and keeping notices on social media. The way I figure it even if we forget to put up notices of links on some days, the older links will probably keep our blogs somewhere in the loop of things. But I’ll be playing things as I go since this will be new territory for us. My main strategy will be to blog as I normally do since that always seems to work for me. Hope this helps you with your own strategy for April. The nice thing about the way we’re doing the challenge (sans Linky) this year makes it possible for people to join in the middle of things, or take a day or two off if needed. Anyway, this sounds like a great story. You’re going to be doing it on your fiction blog… will you be doing anything here? I tried multiple blogs two years ago and failed miserably, so will concentrate on just one this year. Thanks so much for the background on A to Z challenge . It sure is helpful for new participants like me .Looking forward to your posts in April Challenge . Good luck! This sounds fascinating! Have you ever seen the show Hell On Wheels? It’s set during the same time period and super interesting! Yes. I want to make sure I do not parallel that story beyond the similarities of the railroad and time era. Sounds fascinating, Joe. I’ve not been a plotter, but I’m forcing myself with a new attempt called The Reunion that I’m posting excerpts from. The challenge will be fun! First, thanks, Joe, for visiting my blog. Second, I love the theme as well as the blurb on your novel. That sounds like a tale I’d read. I hope you are an indication of the interest.